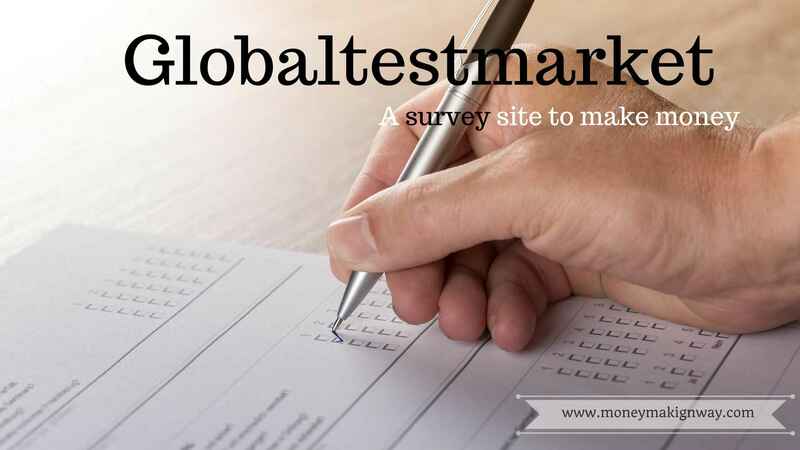 How to make money with GlobalTestMarket survey site ? Paid surveys are the easiest and fastest way to make money online because neither you need any specialized skill nor any investment. And all you have to do is to attempt few questions in exchange of that you receive payment. There are many third parties who offer paid surveys on their website. But all of them are not legit. So it is really important to join only legit companies who are actually making payment to their customers. Companies conduct surveys for Marketing research purpose. Which helps them to identify improvement areas, product development and who are their targeted audience. And it is not possible without paying money. No one will attempt the survey if money is not associated. So it is a two-way benefit for both companies get surveys and we receive payment in exchange. An average payment of a survey is less than $.50 but you can also make up to $1. Depending on the survey and the company. Globaltestmarket was founded in 1999 powered by lightspeed which is one of the biggest market research company. They have 1400 clients in more than 60 Countries. They provide solutions to the companies in market research and simultaneously offer money to the members who attempt surveys. If you are looking help in Market research than you can contact lightspeed if you want to make money then you can join GlobalTestMarket. Till 2016 they have rewarded $30 million to the members worldwide. You receive points for attempting surveys which you can easily redeem for rewards items and gift cards. They have more than 200 partners including Macy’s and Amazon. You can even make a charity donation. Once you submit the online form next is to confirm your email address and your account is active to take the surveys. Whenever you attempt a survey you get some life points which we can convert into gift cards or in Paypal cash. Initially you have to complete your profile and you will also receive some life point for this. You can earn points through surveys, product testing, mobile surveys, teen surveys, IT Surveys and by referring a friend. How to redeem your life Lifepoints? Once you earned the point click on Redeem tab and it will take you to the new page to choose the redeem option. You can choose the option through a number of points or you can select the direct option of PayPal and e-gift cards. For PayPal payments, you need at least $40 and for the e-gift card, it is $35. In life points, you need 4,800 and 3850 in your accounts. Not only life points but you can also win sweepstakes that usually happens. The number of life points for a reward may vary based on location. So please cross check before making any deal. The paid survey could be an easy money but it certainly not the source to become rich or have full time earning. Most of the third party surveys offer very less payment. And most of the sites are not even legit so first review the website, company and it’s background. Globaltestmarket is a legit company who offers a smooth platform to make some easy extra money.